Why is it so hard to find the perfect gift, and why does the act of gifting often fall short of our expectations for the experience? I’ve been studying relationships, relating, communication and this thing called attachment styles in the last year. It’s been kind of a mind-blowing year in the area of relating as I realize s0 much of what I do to cultivate and care for the relationships in my life is motivated by selfishness and fear of not getting what I think I need. My eyes have been opened to see more clearly than ever that we are relational beings, made to find the most joy, fulfillment, and security when in proper relationship with our Creator, and in healthy relationships with those around us. We were made to find true joy and fulfillment from healthy relationships, not stuff. So, if that’s true, then that means the best gift we can give someone is to love them well, to learn to communicate deeply, to pursue intimacy, and to make the effort to have strong, healthy attachments. It’s not something you can wrap. But it’s guaranteed to be the gift they’ve been waiting for and one they will treasure the rest of their lives. When I first was introduced to the concept of secure connections and what true communication looked like, I was exhilarated. I had felt like something was missing from my marriage, but couldn’t put my finger on it. This was because it wasn’t someone else’s fault—it was my own mindset that was crippling my ability to connect deeper with my husband. The first book I read on this topic was Keep Your Love On by Danny Silk. My mentor recommended it to me and gave me a copy (it was so good, she’d been buying it by the case and giving it to everyone who would read it). That’s when I began to realize the depth of manipulation and grasping for control that goes on inside me as I tried to relate to those around me. I ask for a lot out of my relationships—I’m an extrovert, a verbal processor, and I thrive on deep communication. But I steer clear of stating needs in a clear, forthright way because I’m terrified they won’t be met. Later in the book, we read about learning to make “I need” statements. If that sounds simple, it’s because you’ve never tried it. It is the most vulnerable, intimate thing I have ever done—to actually say out loud what my heart is truly craving from a relationship. The waiting to see if the need will be received and fulfilled is the scary part. But being completely honest is a way I can sow value into a relationship and there is always fruit from that effort. My second awesome relationship book discovery this year was “How We Love” by Milan and Kay Yerkovich. This book focuses on attachment styles—that is, the blueprint we receive at a young age that informs how we attach (love and interact) with people in our adult lives. I love studying personality styles, love languages, and the like. This is one more classification method that will blow your mind with how it informs and enlightens the trouble spots in one’s relationships. Within minutes of first learning about the 5 attachment styles, I had identified both mine and Jeremy’s. The bad news is, an avoider married to a vacillator is one of the most challenging combinations. The good news is, the book (and attached workbook) thoroughly explore each attachment style, walk you through letting go of the lies and wounds that foster that style, and demonstrates how you can relearn to love in a healthy manner. It also gives tips for how to interact with each style if you’re the spouse! The book is written by a couple who are both Christian counselors. They share lots of stories of counseling sessions and lives changed by the concepts in the book. Reading it feels like a therapy session–except way cheaper! Between these two books and my continued journey to see and know God as He truly is, my mind and heart are being renewed and I am learning how to love well. So, if you’re stumped on what to get your spouse this Christmas, and want it to be truly special, how about the gift of a better communication, more intimacy, and stronger connection? And if you want something to wrap, try one of these books. 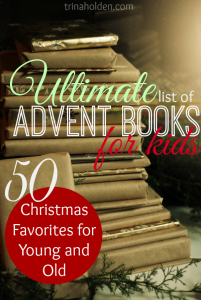 I share more about how the best gifts can’t be wrapped over on Kindred Grace today. This post contains affiliate links–doing your Christmas shopping through these links is a great way to say “Merry Christmas” to your favorite bloggers! Thanks! 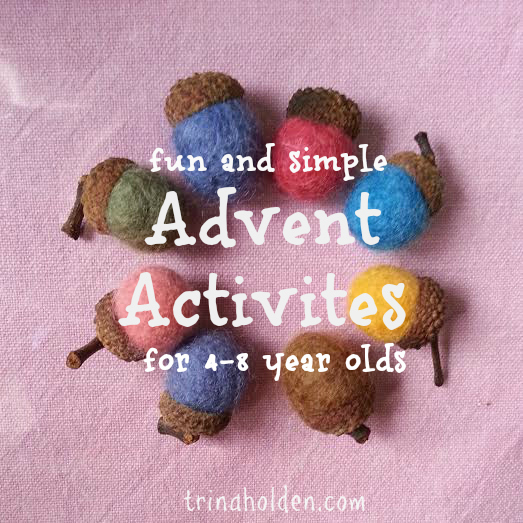 This December I really wanted to do some fun advent activities with the kids throughout the month. I’ve found that doing a little something every day to celebrate the season takes the pressure off that one day at the end of the month when expectations may or may not be met, and helps us keep focus on the real reason for the season through the whole month. 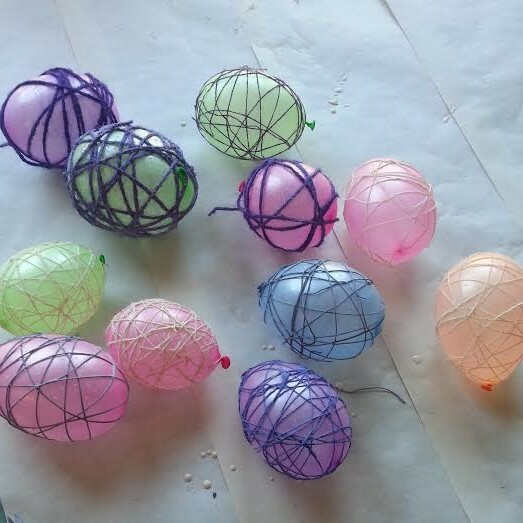 Thread the needles with a double length of thread, knot it, and let the kids go to town. Hooray for a craft they could do almost by themselves! 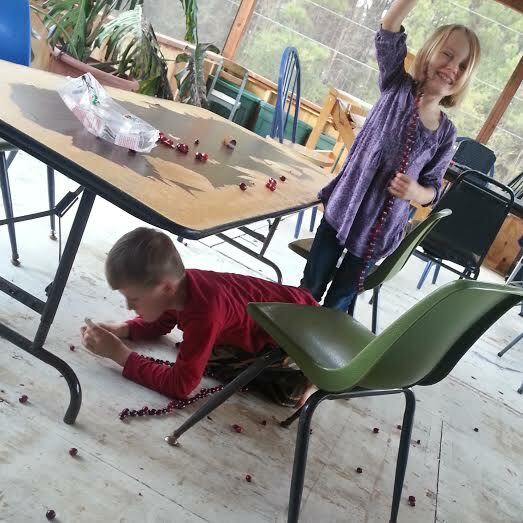 Yes, cranberries went everywhere, but they were happy for hours, and it was cheap. This is the simplest of activities and one we’re doing every day this month–illustrating the Christmas story page by page. I did this as a child, and am so excited my kids are old enough to enjoy the tradition this year. I make Christmas wreaths every year for myself and family. 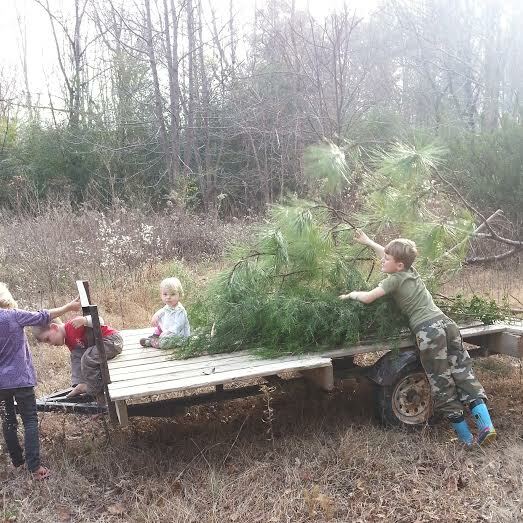 The trip to the woods to cut greenery is almost as fun as cutting down our own tree. 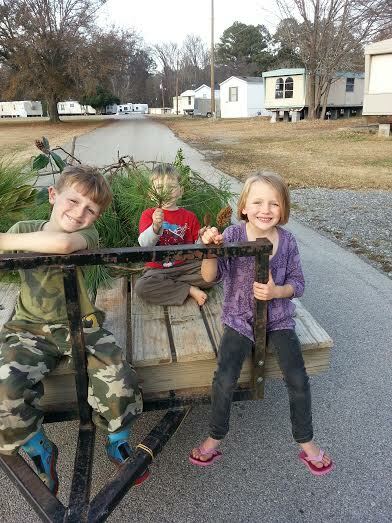 I took the kids along and they helped load the trailer and loved the ride back to the house. Whether you want to try my wreath making tutorial, or you just use the boughs to add some green around your manger scene or mantle, finding some woods and cutting greenery can be a fun outing for you and the kids. 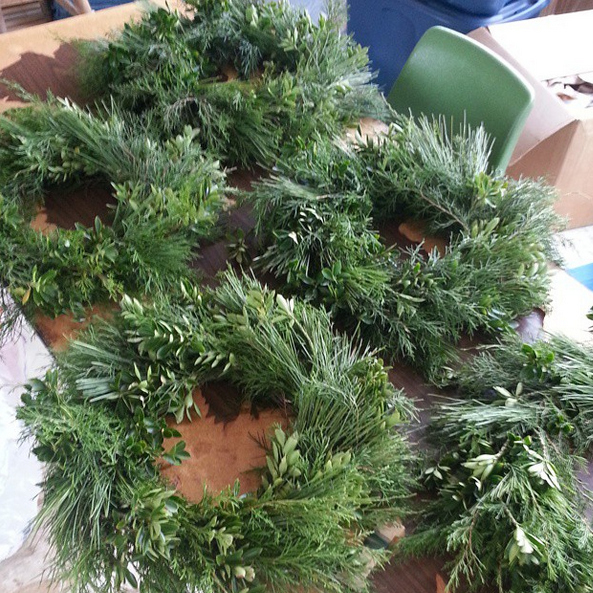 This afternoon, Jesse actually helped me clip the greenery to the right length while I worked some orders for friends. I think by next year he’ll be ready to make his own wreath! This is in the ‘little more involved’ category–and maybe not even really Christmasy? 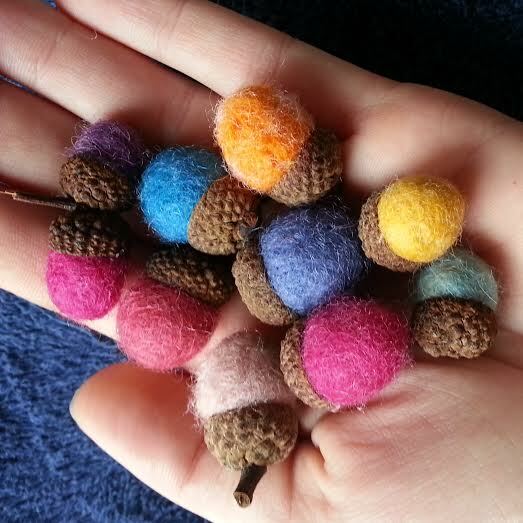 But I saw them on Etsy and couldn’t resist. This was our favorite activity yet. Tutorial coming tomorrow! Hoping to get to these next week! It’s amazing how much learning can happen when you approach life creatively. If you like the idea of changing up your school routine for December, you need to check out my friend Pam’s brilliant idea she’s calling Yule School. (Why didn’t I think of that? It sounds so legit!) Pam’s got a whole series on her blog with tips and resources for Christmasizing your school this month. I’ll be digging into her series for inspiration for next week’s activities! This post contains affiliate links. Doing your Christmas shopping through a blogger’s affiliate links is a great way to wish them a very merry Christmas! 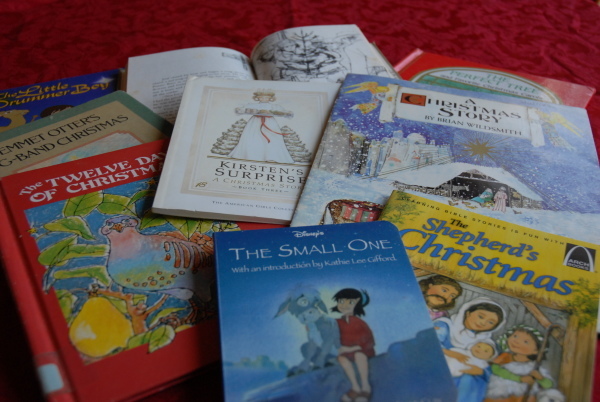 I love the idea of starting the tradition of a book advent calendar for my kids like this Christmas book tradition from my childhood. 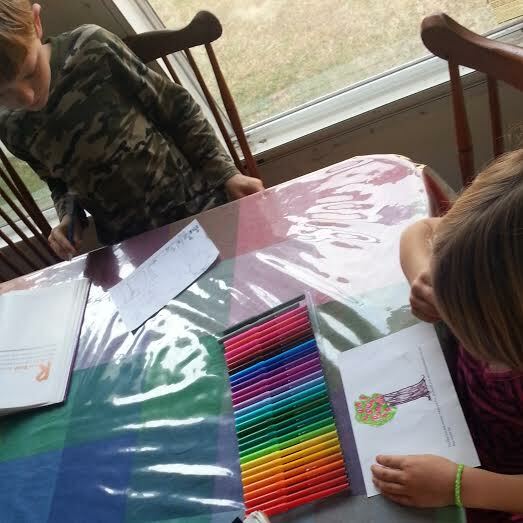 I love that it’s a fun advent activity that doesn’t actually take a lot of time or effort but results in quality time with my kids every day during this busy season. 1. Shop your own bookshelf. You may be surprised at what you’ll find that fits the Christmas theme! Here’s what I got just shopping my own shelves and including chapter books! That’s six books right there! 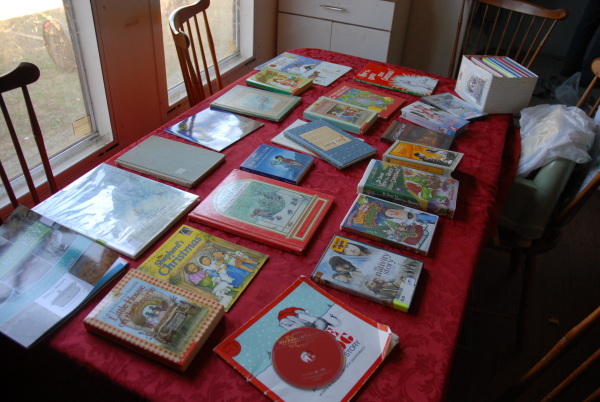 Other series that include Christmas stories are the American Girl Books. This was what I found at one thrift store after an hour spent browsing. The kids were with me and loved a chance to sit and read books to their heart’s content while I hunted! Look at that gorgeous Brian Wildsmith one! 5. Check out Half.com . Many titles are less than a dollar, and if you buy multiple books from one seller, the shipping goes down to $1.70 per title, meaning you could add new titles to your collection for as little as $2.50 each! 7. Think outside the box–or books. Wrap up a Christmas CD, a cookbook with your favorite Christmas cookie recipe, or even a few movies to fill in the blanks. Or find an audio book to listen to during holiday road trips. Or a puzzle with a Christmas theme! 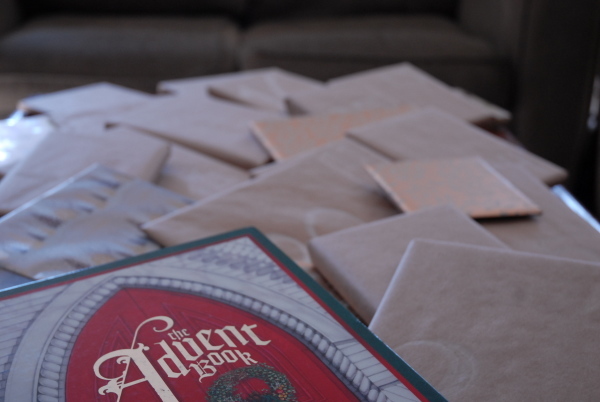 Here’s what I came up with for our advent calendar. I shopped the house, thrift store, and got creative. 8. Start Small. Can’t find 25 books? Cut it in half and just do the 12 days leading up to Christmas. You can grow gradually. 9. Broaden the theme. If the book has snow, let it count! 10. The Original Christmas Story. Yup–this one’s so obvious, I almost overlooked it–thanks to Caroline of TheModestMomBlog for this idea–wrap a Bible and read Luke 2! 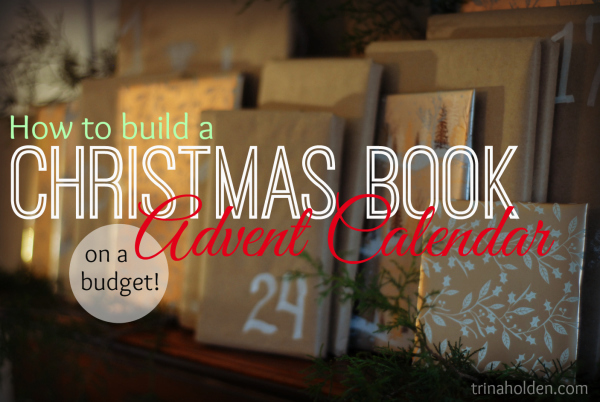 It only took me 2 days and $5 to build our first ever Christmas book advent calendar. I do hope to gradually replace movies with books, and paperbacks with sturdier classics, but meanwhile I’m super excited that we get to do it this year. I spent one naptime wrapping everything (with gift wrap from the dollar store!) and we are ready for December 1st! With these ideas–and a few more I hope you’ll share in the comments–I think we can pull this off. Are you in? P.S. 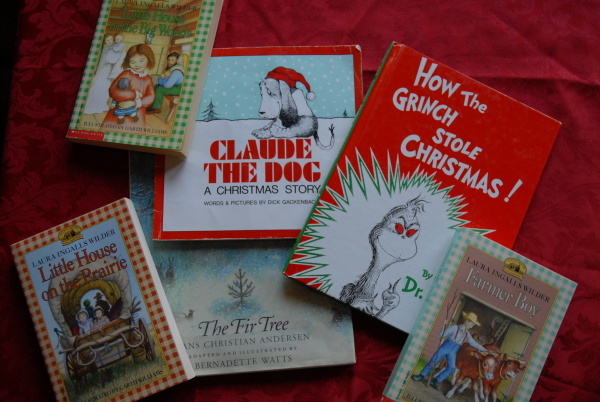 if you already do this tradition or something similar, would you share your favorite Christmas books in the comments on this post? Thanks!! !